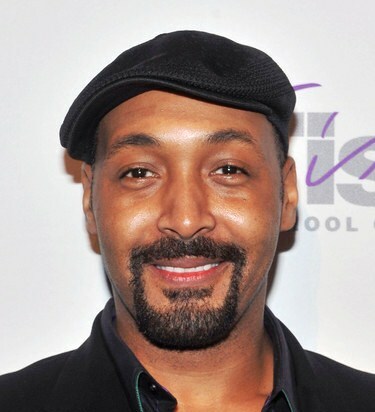 *Jesse L. Martin fears his plans to produce and star in a biopic about music icon Marvin Gaye are not meant to be – because it’s proving “impossible” to bring to fruition. The former “Law & Order” star has been attached to the film “Sexual Healing” since 2008, when he signed on to help The Sopranos’ James Gandolfini bring the singer’s life story, adapted from Steven Turner’s book Trouble Man, to the big screen. Director Julien Temple took charge of the movie in February, following previous filmmakers Cameron Crowe and F. Gary Gray, but the project has been hit by a series of problems and delays due to difficulties clearing the rights to Gaye’s music. And Martin admits he’s no longer holding out for the role. “Sexual Healing” is just one of several Gaye biopics in the pipeline, but Martin insists all of the films have faced the same licensing issues and he’s now contemplating other ways to tell the story. Too bad Jesse is an excellent choice to play Marvin he resembles him and he is a pretty good singer and he can act. This biopic was not able to get rights to Marvin’s music with Motown. Any movie without this music was not going to be interesting to me. Also it was only going to portray his later years (when he was a crazed, drugged up shell of himself). Unfortunately Gordy will have to approve of a version in order for him to give up the rights for the music and I’m sure this version will be a whitewash (at least in it’s portrayl of Marvin’s years with Motown, marriage to Anna, true parentage of their son etc.). I was fortunate (because of it’s limited run) to see his sister’s stage play “My Brother Marvin” which was great. I TOTALLY AGREE WITH YOU.HEY JESSIE, IT WAS BROUGHT TO THE STAGE BY MARVINS SISTER. OMG THE STAGE PLAY “MY BROTHER MARVIN” WAS EXCELLENT !!! DO ANYONE KNOW IF ZEOLA GAYE IS GOING TO BRING THE PLAY BACK OUT ? A MUST SEE…..IF IT RETURNS TO THE STAGE !!!!! The Jobete copyrights are quite cost prohibitive it seems. I just watched the Tammi Terrell “Unsung” and cried like a fool. There could be 7 dramatic highlights to this movie: 1) The popularity of Marvin/Tammi as a duo. 2)The lost of Tammi. 3)The galvanizing popularity of “What’s Going On. 4)The saga behind “Here, My Dear”. 5)His exodus to Hawaii/Brussels. 6)The ill-fated Sexual Healing Tour. And finally 7)The sad and tragic ending…….I am probably missing a few more but it could have made a great movie. Wish the “My Brother Marvin” play would be revived….never got a chance to see it.